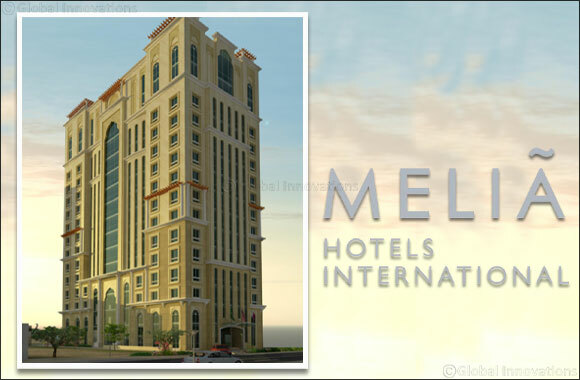 Doha Qatar, January 25, 2016: Meliá Hotels International has made further progress in its growth and positioning strategy in emerging Middle Eastern markets with the announcement today of a new hotel in Doha (Qatar). The hotel will be operated under the Innside by Meliá brand, which becomes the third of the Spanish company’s brands to achieve a presence in the destination. The hotel will be located on a prime area immediately adjacent to the new Qatar National Museum, the new Doha Metro station, government and commercial offices, with views of the West Bay skyline and easy access to Doha's Hamad international Airport. The Innside Doha will open in 2017, becoming the third hotel for the company in Qatar, together with the Meliá Doha, which opened in 2015, and the future ME Doha. It will have 192 rooms, a signature restaurant, lobby lounge, business centre, fitness centre with spa, a rooftop terrace with a pool deck area and a club F&B concept on the 13th floor. The elegant and functional Innside by Meliá hotels are perfectly adapted to the needs of modern city visitors, offering a combination of business lifestyle, cutting-edge design, smart technology and personalized, simple and efficient service. The brand is also attracting the interest of investors and hotel owners worldwide thanks to the value the hotels provide to guests and their profitability, and this new hotel in Doha is another milestone for its growth and development. It currently operates 16 hotels and has 21 hotels in the pipeline, in the UK, USA, Germany, Chile, Venezuela, UAE, China, Indonesia, Malasia, Italy, Colombia and Brazil. Qatar is the country with the highest income per capita, globally, and Doha has become a focal point in the Middle East, landing the winning bid for the 2022 World Cup. The city, which is a predominantly corporate destination (65%) is undergoing a transformation in the hospitality sector with new hotels opening on a monthly basis (the current pipeline expects to increase the hotel supply by 77%, dominated by luxury upper upscale and upscale properties). Significant infrastructural and real estate projects in Qatar will be completed during the coming decade, driving the growth of demand for transient accommodation in Doha.